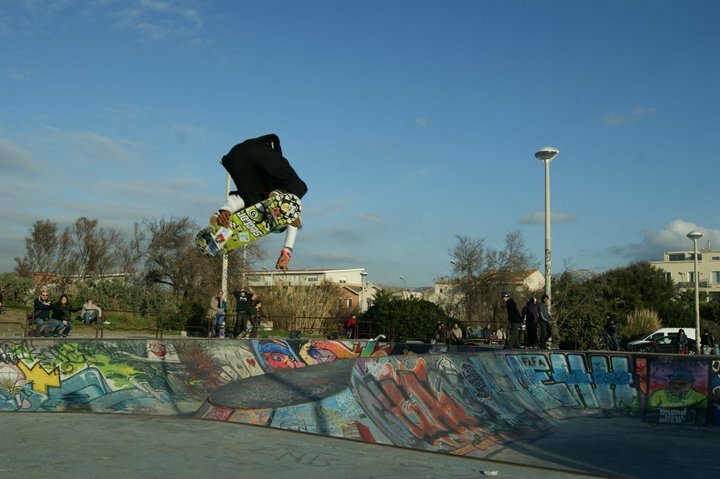 Max Verohanitra might become one of the savior of vert in France. Beware, a revolution is under way... Pic from Facebook. Toussaint Louverture R.I.P. (1803) was the leader of the Haitian Revolution. His military genius and political acumen led to the establishment of the independent black state of Haiti, transforming an entire society of slaves into a free, self-governing people with the benefaction of the French government. The success of the Haitian Revolution shook the institution of slavery throughout the New World and after Haiti; slavery was abolished in most countries including, after some time, the United States. isTia: Why did you change your name from Toussaint to Max? isTia: Did your named you Toussaint name after "Toussaint Louverture"? isTia: Where were you born? Max Verohanitra: I was born in Tananarive (Madagascar). But now, I live in France in Marseille. isTia: When did you come to France? Max Verohanitra: I came to France when I was 6 years old. isTia: What is the best and the worst thing about the city or you live now? Max Verohanitra: The best thing is that it is hot and the worst thing is that there are too many hoodlums..
isTia: If you had to change a city, where would you live? 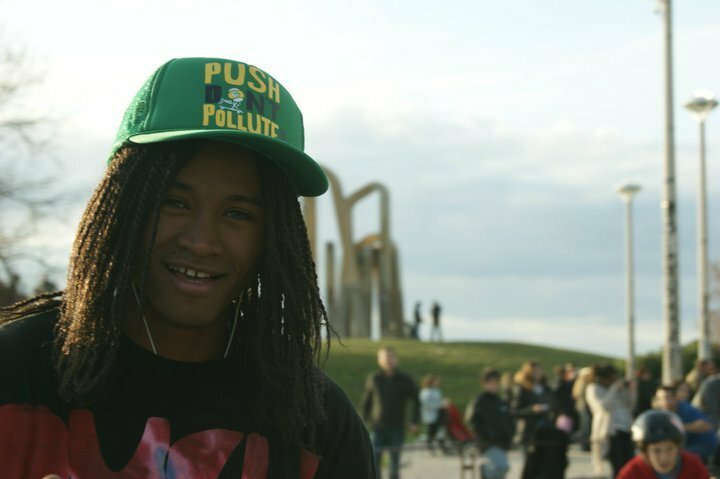 Max Verohanitra: I would love to live in the States because there are plenty of SkateParks everywhere. isTia: How did you come to skate and what brought you there? isTia: Do you remember your first set? Max Verohanitra: Yes my very first board was the one my big brother offered me was and it was a Hosoi Board! 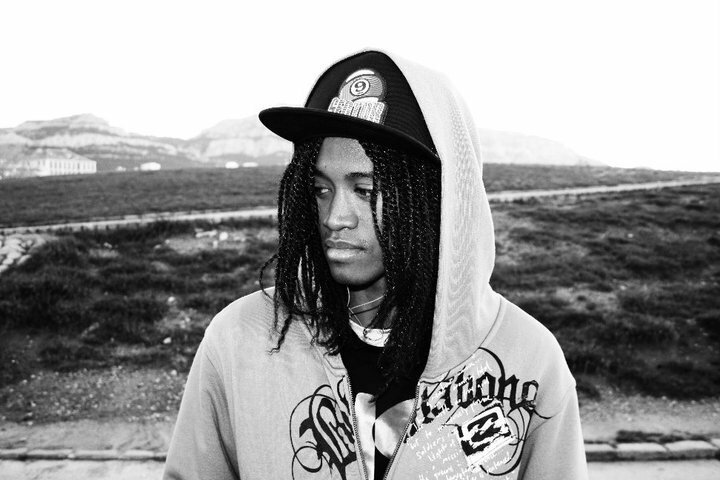 isTia: Who are your early influences in skateboarding? Max Verohanitra: Ben Hatchell the pro rider! He has too much class! 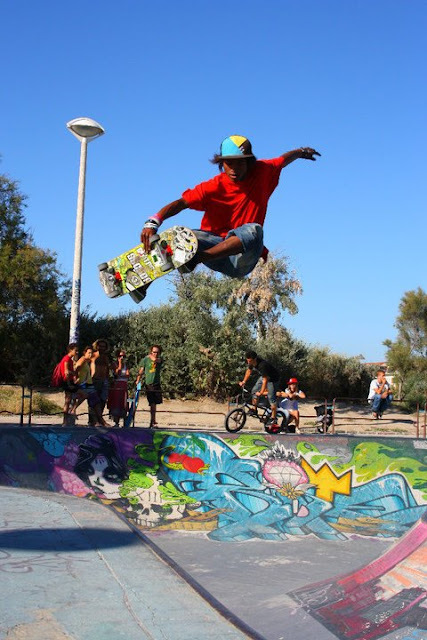 isTia: Is there someone else in your family who skates? 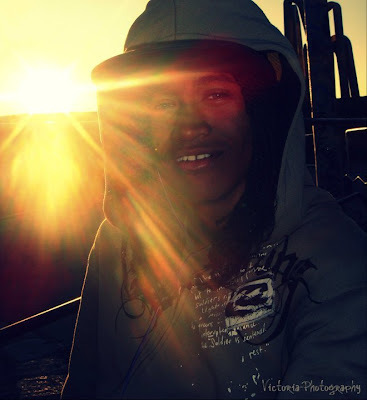 Max Verohanitra: My big brother, but he stopped because he fractured his tibia. 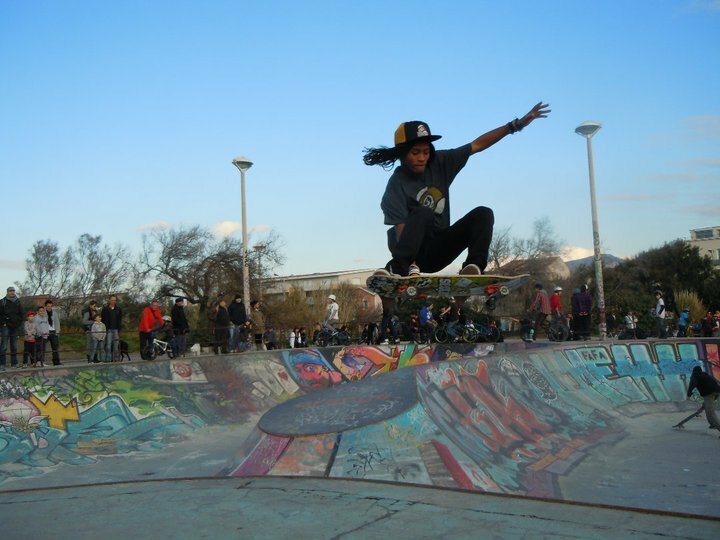 isTia: Who are the other local skaters who inspired you? Max Verohanitra: Julien Benoliel. He is from Marseille and he is a super good skater. 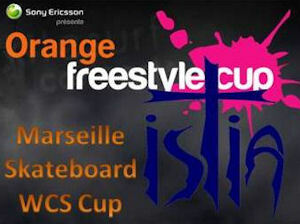 isTia: You are qualified to go to the Orange Skateboarding contest in Marseille on June 23. How were you called? isTia: When did you know that you were qualified for the Orange Skateboarding Cup? Max Verohanitra:" the Americans were born into the pools"
Max Verohanitra: When you are in the pro division you are already prequalified. I think I will skate the contest on the 24th because on the 23rd that’s for the AMs. isTia: This cup of Orange has a long history, the name was different before ... (Massilia Cup, etc ...) What were your results in the past? isTia: Is it different now that the cup is part of the WCS? Max Verohanitra: Well what the WCS bring are people like Dave Duncan. 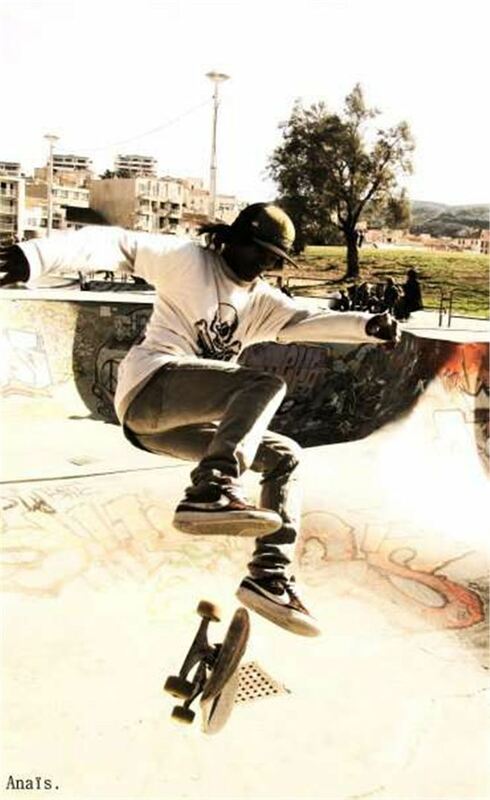 He is a skate legend skate and they also bring many other great riders. isTia: There will be few Americans in Marseille and a lot of French. What do you think the level of the French will be in the bowl-vert-park? Max Verohanitra: The French, they start small because there are not enough bowls. Little by little they are getting better, that’s the evolution. But, you know, the Americans were born into the pools. They have skateparks everywhere! isTia: What do you think the level of European skaters in green-bowl-ramp-park? Max Verohanitra: Its changing now! It’s becoming bigger and bigger. There is a big level in Europe. Same thing for France. We are getting better in bowls all the time, we are all at the same levels, French and Europeans too. isTia: Is there a difference between the street and vert skaters? Max Verohanitra: No. I don’t think so. isTia: In the U.S., the level is so high that a skater can’t be at the top both in cert and street Is this the same thing in France? Max Verohanitra: Yes it is the same in France. You have to do vert or street. You can’t do both. 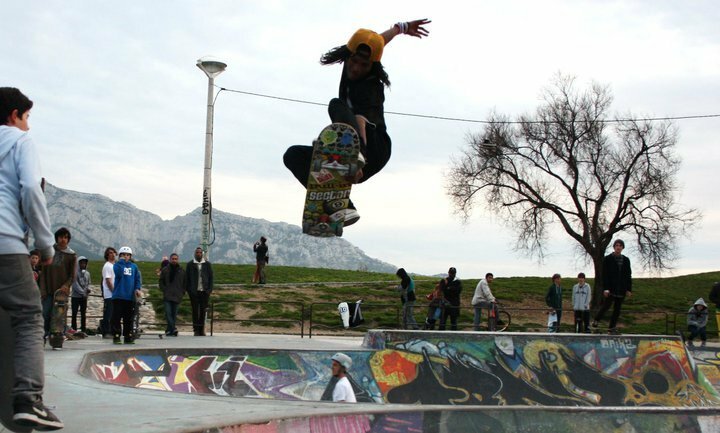 isTia: Apart from Marseille is vert skateboarding a reality in France? Max Verohanitra: There is a nice vert scene in Montpellier and Strasbourg. isTia: There are no empty swimming pools in France, as there are in California. The empty swimming pools, it makes you dream? 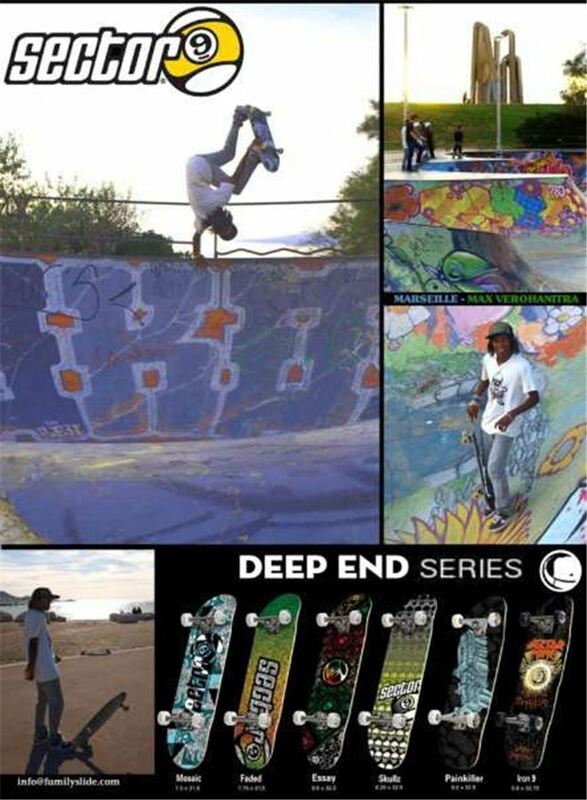 Max Verohanitra: Yes, my dream is to skate a real backyard empty pool! isTia: Skateboard websites? Max Verohanitra: Trhasher, Désillusions , Soma. The French prefer to read their website in French but I prefer to read them in English to learn English..
isTia: Who is Bob Marley for you? Max Verohanitra: This is my father! isTia: If I put in front of a ghost, right now, what are you doing? Max Verohanitra: Hahahaha! I fled I'm too scared of something like that! isTia: Do you use pads in the bowl? Max Verohanitra : Heu non (oops no!). When you skate in a bowl, the pads give you a bad style. isTia: You don’t drink, you don’t smoke ... Do you have a special veggie diet on top of this? Max Verohanitra: I am not a vegetarian ^ ^ vegetarian is a person who does not eat meat!! isTia: Can you tell about La Caverne? Max Verohanitra: No. La Caverne is a secret spot!